Modern industrial design for metal fabrication demands complex connections, improved aesthetics, cleaner lines and increased structural integrity. Lasers are increasingly being deployed to cut not only flat sheet materials but also 3D applications. Examples include freeform contours as well as the ability to scallop, slot and cut tubes of varying thickness in support of medical, general industrial and automotive applications. 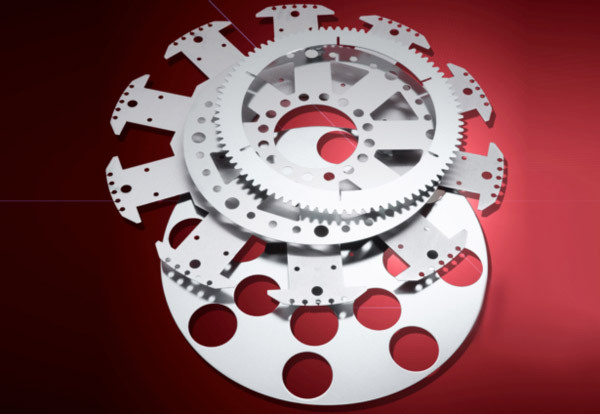 This application insight looks at 3D, tube and profile cutting with the medium power Fiber Laser, it explores these three processes and the wide range of materials that can be cut with the medium power Fiber Laser. Until recently the typical Laser beam source for an industrial Laser cutting application would be a high power CO2 Laser or fiber coupled Nd:YAG solid state Laser. Such Lasers are energy inefficient and have high operating and maintenance costs. Operating costs of Fiber Lasers are significantly lower due to the absence of periodic maintenance requirements and higher energy efficiencies; typically ~10x greater than those of conventional Laser sources. Fiber Lasers also have several process advantages, for example in cutting of reflective materials such as aluminium, brass or copper due to the increased absorption of their 1.07µm emission wavelength compared to the 10.6 µm wavelength of C02 Lasers. Fiber Lasers have become well-established over the past few years in precision micro-cutting applications of which there are many examples including cutting of thin-walled tubes in stainless steel or Nitinol for cardiovascular stents, cutting of thin metal sheets for stencils used as electronic pcb solder screens or cutting of thin walled enclosures for electronics components (Figure 1). 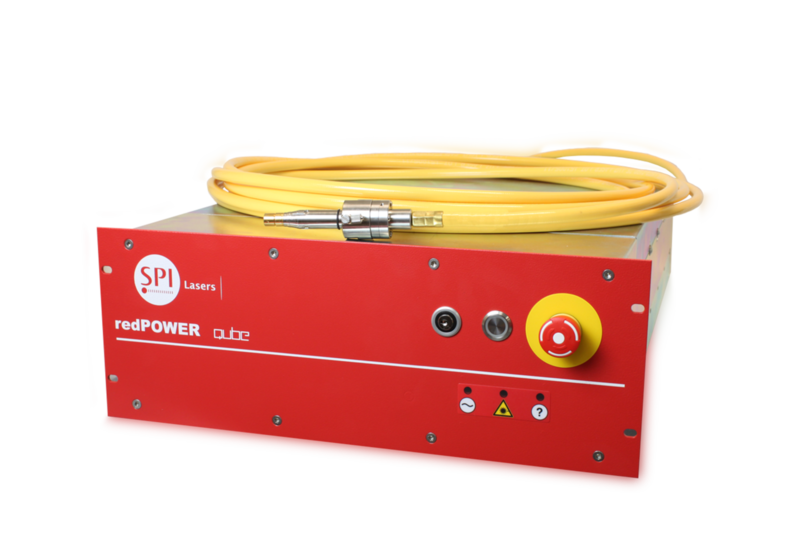 With technology improvements and increasing levels of deployment, the selling price of Fiber Lasers in the medium power range of 400W-500W range has come down to the point where they are now cost effective alternative beam sources compared with both high definition plasma systems and CO2 Lasers for low cost cutting machines / systems for metal cutting in 1-3mm thickness range. The ease of integration and operation, combined with advantages such as high reliability, zero maintenance, high wallplug efficiency and small footprint are key considerations in choosing a Fiber Laser source. Furthermore, the low total cost of ownership enables a tailored approach of the cutting machine / system specification to the specific application, rather than the conventional approach of designing systems based on much more powerful, and expensive Laser sources. 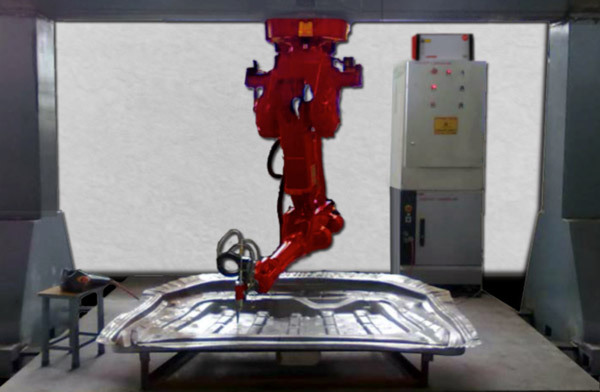 Examples of this may be found in tailored blank cutting for automotive body panels, precision apertures in electronics enclosures, assembly frames, or general manufacturing of consumer goods. The high beam quality of Fiber Lasers enables a large depth of focus and therefore a greater degree of process tolerance than conventional Laser sources. The benefits of 3D cutting with Fiber Lasers can also be applied to Laser tube cutting. Whether the tubes are straight cut or have apertures or other features to enable joining or assembly into more complex structures, the capability of the Fiber Laser can address a significant proportion of the applications in this sector (Figure 3). This includes custom pipe fittings for OEM equipment manufacturers, tubular structures for the furniture, sporting and leisure equipment industries. The advantages of Laser tube cutting include almost unlimited cutting configurations, elimination of stack up tolerances inherent in multiple operations, as well as dramatically reducing production and overhead costs by combining multiple operations such as sawing, drilling and milling operations into a single process step. Exactly the same principles can be applied generically to a wide variety of 3-D cutting applications, for example apertures in control instrumentation enclosures, portable electronics enclosures, ducting for cabling and tubing, lighting, gobo manufacture etc. 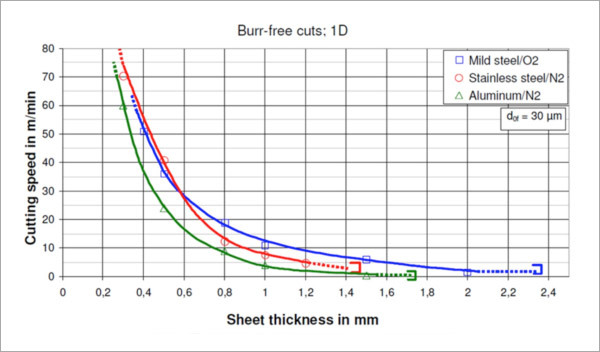 The high beam quality, energy density and ranges of focus spot sizes achievable enable both very high speed cutting of thin section materials as well as high quality cutting of precision profiles in material thicknesses of 2-3mm of stainless steel and 4-5mm mm of mild steel. Figures 4 and 5 below show examples of both precision cutting and sample material cutting for materials including stainless steel, mild steel, aluminium and brass. Figure 4. Profile cutting. (Courtesy of Micrometric). Figure 5. Laser cutting samples (2mm stainless steel, 4mm mild steel, 1mm aluminium and brass).